One of the best hand-held gaming systems available is getting a major price drop. Nintendo has just announced that it will sell its Nintendo 2DS bundle with Mario Kart 7 (digital download) for just $99.99 effective August 30. 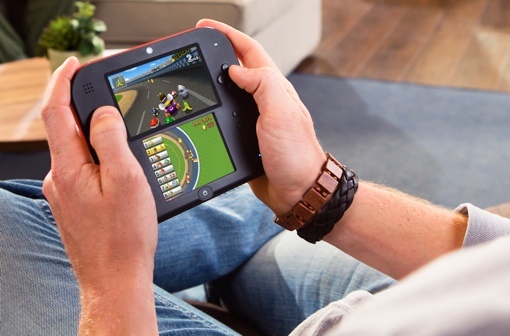 “At a suggested retail price of $99.99, the Nintendo 2DS is an even more attractive introductory option for first-time games,” said Nintendo of America Executive VP of Sales & Marketing Scott Moffitt. The Nintendo 2DS system was launched in October 2013 as a lower-priced alternative to its Nintendo 3DS hand-held system. Unlike the hinged 3DS, the 2DS is a solid body construction with a slightly reduced amount of screen real estate. It can play all Nintendo DS and Nintendo 3DS games, though only in 2D mode. Most games hold up perfectly fine without the 3D effect, and younger children are advised to only play games in 2D mode to protect their eyes anyway. The Nintendo 2DS also features parental controls that lets you limit what type of content can be played and when. I’ve owned a Nintendo 3DS system for a while now, and am still in love with the system based on the strength of its game library. I can definitely vouch for Mario Kart 7 being a phenomenal game; its online multiplayer mode (connects via Wi-Fi) is absolutely addictive and appropriate for all ages. The Legend of Zelda: Majora’s Mask remake and the Super Smash Bros. for 3DS are terrific too. Don’t think Nintendo is going to stop supporting the system any time soon – a new multiplayer Zelda game and a new Mario & Luigi/Paper Mario game were unveiled at this year’s E3 gaming convention, due out in late 2015 and 2016 respectively. And kids will likely fall in love with the Pokémon-like game Yo-Kai Watch when it is released on November 6 – the RPG is proving wildly popular in Japan. If you’re looking for an inexpensive new gaming system for the kids or a replacement for a lost or broken Nintendo 3DS, this Nintendo 2DS bundle is worth a look when the price drops on Sunday, August 30. 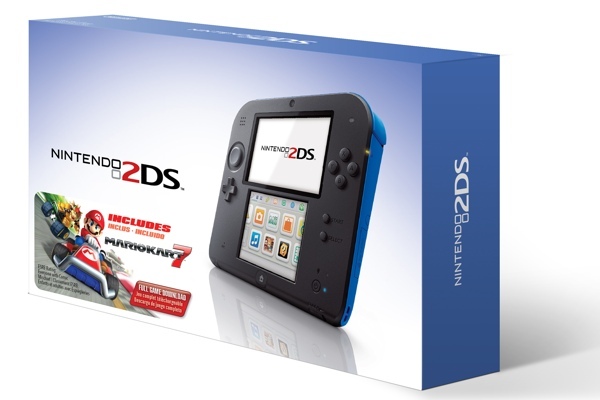 To learn more about the Nintendo 2DS, visit nintendo.com/2ds.